After many years of serving the public and sailing around Plymouth waters, this vessel has retired ashore and is awaiting new owners. 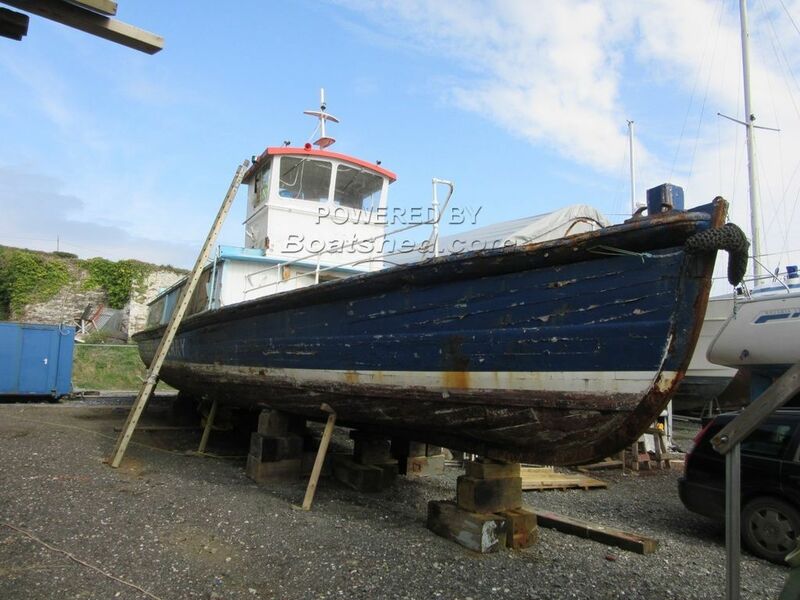 It would be great to see her taken on by an enthusiast and restored to her former glory or converted to a live aboard by someone with ingenuity and enthusiasm. A possible candidate for George Clarks Amazing Spaces? A Little History: This vessel was originally built as the steam ferry Armadillo by Rogers Boatyard, of Cremyll, Cornwall, for the Earl of Mount Edgcumbe's estate, which had, since 1885, operated the ferry service between Cremyll Quay and Admiral's Hard, Plymouth. After the death of the 5th Earl in 1944, the descent ceased and ownership of the vessel passed to the Millbrook Steamboat & Trading Co. In 1956-57, a rebuild at Mashford, Cremyll (the yard previously owned by Rogers) involved the replacement of the steam engine by a diesel and the vessel was renamed Northern Belle. In 1980, Dart Pleasure Craft took over the Millbrook Steamboat & Trading Co. In 1985, the vessel was sold to Tamar Cruising and continued to provide the ferry service until 2009. This Passenger Vessel River Cruiser has been personally photographed and viewed by Billy Hallam of Boatshed Plymouth. Click here for contact details.